Looking to tuneup your black girl magic? Omolara Williams-McCallister has the perfect remedy! 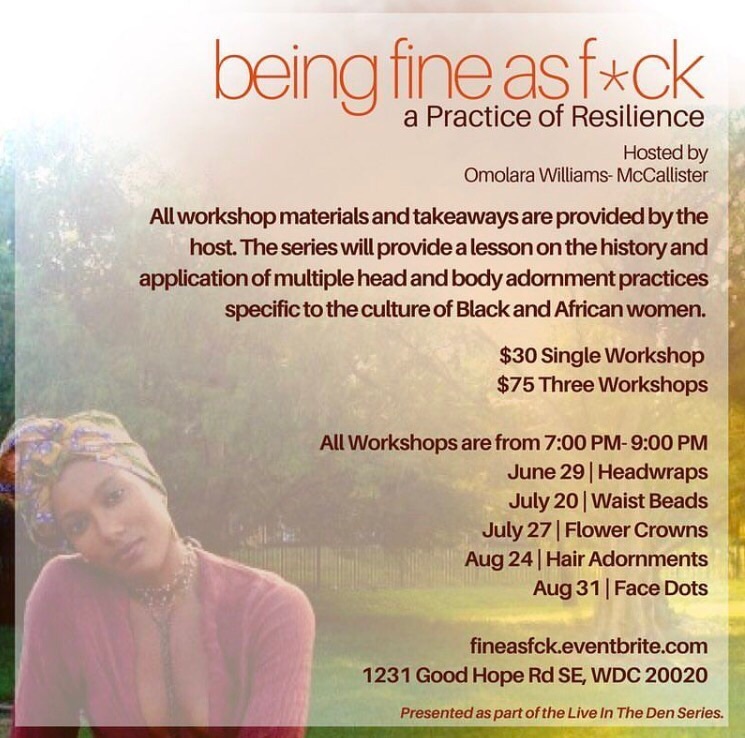 Come check out her new series, Being Fine as F*ck: A Practice in Resilience, starting this Thursday at The Den! This week we’re learning how to tie headwraps! This series will provide lessons on the history and application of multiple body adornment practices specific to the culture of Black and African women. All materials and takeaways will be provided.